Councillor Kristyn Wong-Tam wants to hear from the community about the future of Jarvis Street. 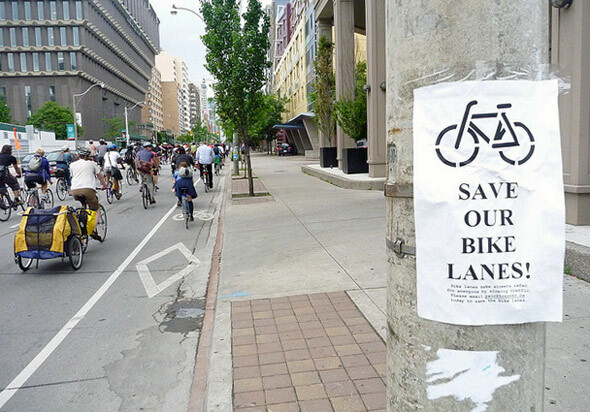 If you are a cyclist, this is your chance to defend our bike lanes. We need to let the Councillor know that ANY future design for Jarvis Street should preserve dedicated lanes for cyclists. If you support keeping the bike lanes, join us at the meeting wearing your helmet!! Let’s make sure people know why we are there! This entry was posted on Tuesday, March 27th, 2012 at 9:12 am	and tagged with jarvis bike lanes, Toronto cyclists union and posted in Uncategorized. You can follow any responses to this entry through the RSS 2.0 feed.